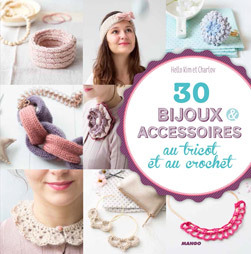 Circulare knitting My 4th book will be released on September 21st « Hello Kim ! 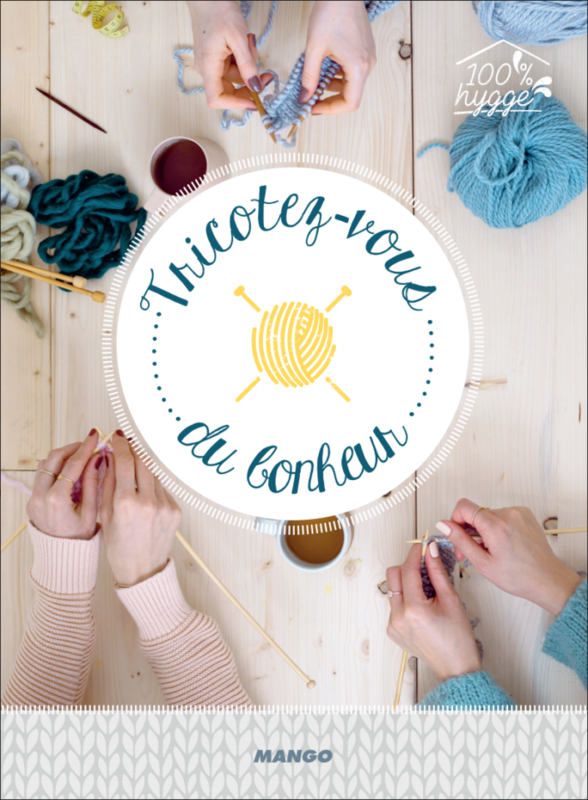 Let me introduce my brand new book to be released on september 21st : Circulare knitting (Tricot circulaire)! It’s my 4th book, but the 1st one that I did by myself. I did my 3 first books with my knit-partner Charlov but I signed Circular knitting by my only name. The project started end of september 2017 when publisher contacted me to talk about it. 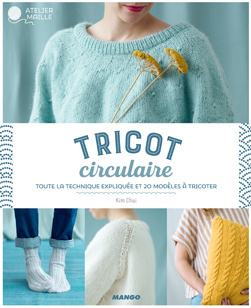 I loved the subject: create patterns using circular knitting technics and all advantages of circular needles to reduce or even suppress grafting. I hate grafting so it was the perfect project. On table contents, there are clothes sush as pullover and cardigan, fashion accessories such as beanie, snood, gloves and socks, and home accessories such as cushion cover. In total, 20 patterns knitted in round with circular needles or double pointed needles, but also in flat knitting using the advaantage of circular needle to knit vey large works. On October, I chatted with publisher about models I wanted to do, technics, patterns and colors. I received ball of yarns only on november ant then I started the longest part of the project: knitting. I was supposed to deliver all prototypes on May 2018, only 7 months to creat and knit 20 works while usually I nedd 1,5/2 months to do a pullover, so it was very very intense. A real race against time. 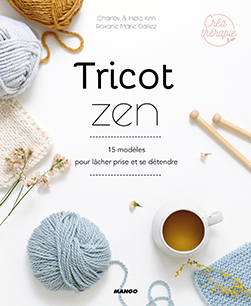 I knit at any free time: in trains and buses, even standing on RER (parisian train) when it was too crowded, during lunch breaks, in waiting rooms, in moovie theaters… I did a lot of Knitflix marathons (watching Netflix while knitting) on week-ends, and I also took some days off to observe the deadline. From November 2017 to May 2018, I was very busy and here some pictures of this period. On November-December, I did a Star Wars marathon on my couch, preparing last Star Wars release: Last Jedi. During this time, I knitted saveral work by alternating because some of them became too huge to be easily transported in my tote bag. 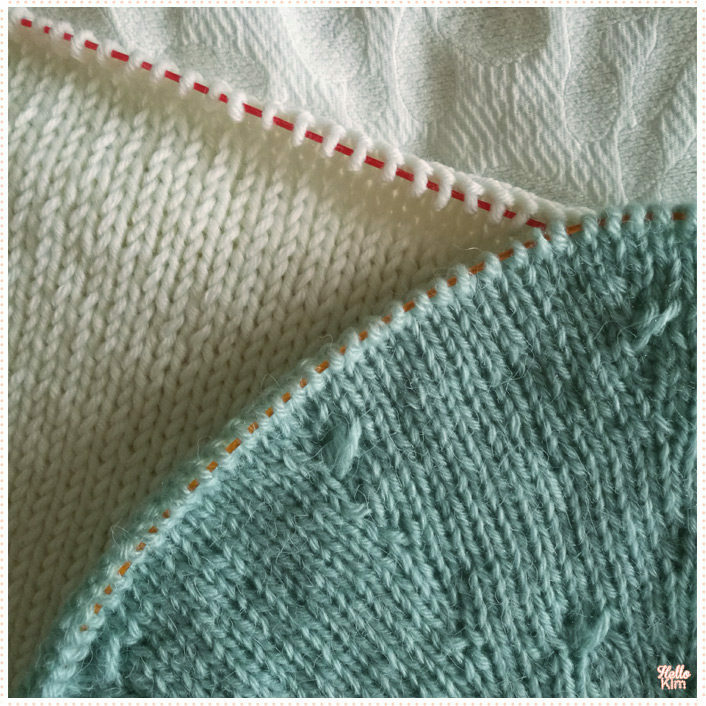 By knitting in round, we avoid grafting, but it means that at some point, we have on the on-going work almost all parts of a pullover: body and sleeves. Of course, my bullet journal a good ally in conception phases: I sketched my models nut also wrote down all steps fot patterns, increases and decreases, etc. 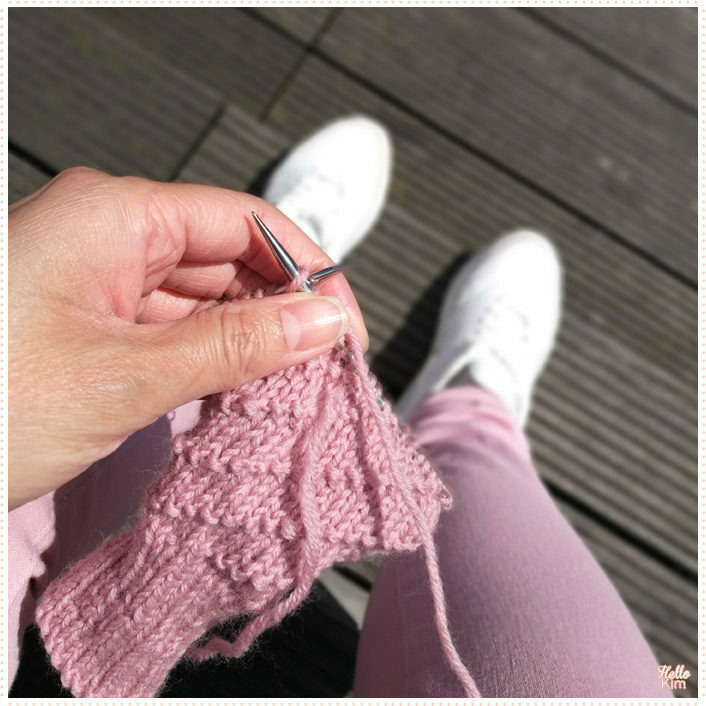 As I started by knitting the most complicated and time consuming works such as clothes, I knitted gloves at the end, when sun started to shine and warm skin. Next week, I’m showing you finished models because this article was only a huge teasing! But if you are curious you can browse the book here.